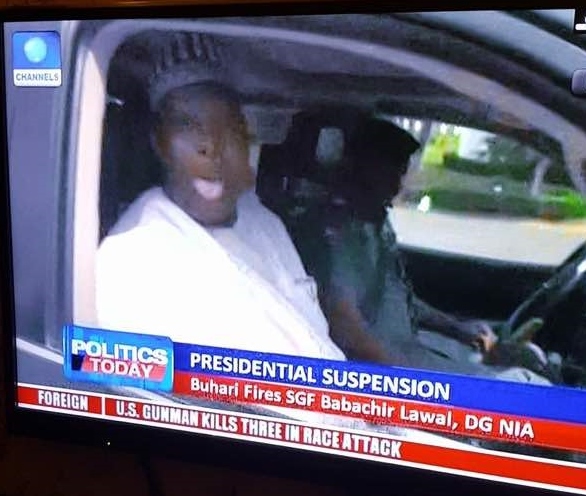 It’s great that after much dillydallying President Buhari has finally summoned the intestinal and testicular fortitude to “suspend” “cash-and-carry” SGF Babachir David Lawal of “grass-cutting” infamy. In my December 17, 2016 column titled “12 conditions for praising Buhari,” the third condition I gave for praising the president was that he should, “Sincerely investigate and prosecute the corrupt people in his administration. Secretary to the Government of the Federation David Lawal Babachir has become a byword for unspeakably high-profile corruption. He has been accused of all kinds of shady deals, including callously shortchanging IDPs, prompting the equally sleazy Senate to call for his prosecution. But this is only a start, a small start. Abba Kyari, Tukur Buratai, Abdulrahman Bello Dambazau, Rotimi Amaechi and other corrupt fat cats in the government should be shown the door, too. Then, we can begin to talk of real anti-corruption fight. 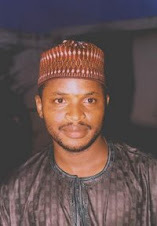 Frankly, Lawal should never have been Secretary to the Government of the Federation. The man neither has the experience nor the temperament to hold such a sensitive office. He is a notorious gaffe machine who can’t seem to be able to say the right thing. He once said Boko Haram was a PDP creation to intentionally depopulate the northeast region because the region’s political sympathies lie with the APC. Boko Haram was formed, he said, to "decimate the voters’ population on the North-east," he told journalists, because, he added, "they [PDP members] know that the region is 100 percent APC." Which sane adult talks like that? At a church thanksgiving service in his honor on October 17, 2015, Lawal also said Bola Tinubu and Bisi Akande were singularly responsible for his appointment as SGF. “Because if it has been left to northerners, it is doubtful if they will take a Christian man to make Secretary to the Government of the Federation,” he said. That was needlessly divisive. This was before he discovered that he could cut grass for internally displaced Boko Haram victims for hundreds of millions of naira. Some interesting transformation there. These are just a few of the man’s many embarrassingly tactless public utterances. Plus, people who have related with him say he is astonishingly arrogant, corrupt and incompetent. It’s such a joke that a person that reckless, unguarded, and impolitic is saddled with a job as sensitive as the Secretary to the Government of the Federation. In fact, Lawal himself thought it was a joke that anyone would find him worthy to be SGF. “I started getting hints to this job just about two to three days to it, and I thought it was a very big joke,” he said at the thanksgiving service organized to celebrate his appointment. Yes, it’s still a big joke, Lawal! However, while I think the president has moved in the right direction, several throbbing concerns remain. Why did the president initially write to the National Assembly to exonerate the SGF without prior investigation? What new information informed the decision to suspend and investigate him now? Why is he being investigated by his colleagues, one of whom actually exonerated him of the same allegations in the past? Can we expect any justice from this committee? Why isn’t he being investigated by an independent presidential commission of inquiry or, at the very least, the EFCC or the ICPC? Corrupt political opponents of the president are never investigated by a presidential committee. They are often hounded by the EFCC and tried in the news media. Why is the president’s corrupt political associate being treated differently? And should we expect Abba Kyari (who is accused of accepting a hefty bribe from MTN to reduce the telecom company’s fine), Tukur Buratai (about whom incontrovertible evidence of inexplicable enrichment has been provided) and others to be suspended and investigated, too? That would be the real anti-corruption fight. If not, even if Lawal is found guilty and fired, people will impute ulterior motives to his ouster. For the anti-corruption campaign to succeed, it must be sincere, wholehearted, and just.